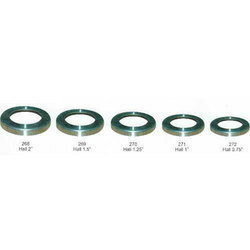 Manufacturer of a wide range of products which include round concealed railing ball cover. Leveraging on our vast industrial experience in this domain, we are devotedly engaged in offering an extensive array of Round Concealed Railing Ball Cover that is widely used in residential and commercial places. The offered ball cover is designed with the aid of optimum quality raw material and the latest technology under the supervision of adroit professionals. We offered this ball cover to our customers in various designs and shapes to our clients.